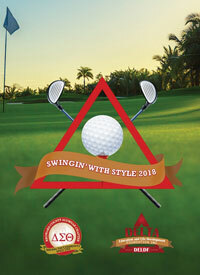 FORT LAUDERDALE, FL — Delta Education and Life Development Foundation, Inc. (DELDF) in partnership with the Broward County Alumnae Chapter of Delta Sigma Theta Sorority, Inc. is very proud to announce the return of “Swing-in’ with Style Golf Tournament” and Youth Golf Clinic. The trademark purpose prides itself on the thrill and excitement of friendly competition at its peak for men, women and young adults. This year’s tournament will promote the same wholesome atmosphere for all participants’ enjoyment. We extend an invitation to the community and embrace your support and participation as golfers and/or sponsors. Together we will continue making a difference in our community. This epic and fun-filled event is being held on Saturday, Sept. 29, 2018 at Jacaranda Country Club in Plantation, Florida. The tournament format will be a four-person scramble with an 8:00 a.m. shotgun start. A luncheon awards banquet will follow to announce the champions. Contests will include hole in one, men/women longest drive and closet to the pin; other fun challenges are also planned for the competitors at heart! Even if you are not a golfer, you may still join us at the awards luncheon. All proceeds will fund our public service programs and allow us to continue awarding annual scholarship to high school graduates. DELDF is a non-profit 501(c)(3) tax-exempt public service and community corporation; therefore, all events are tax-deductible. For details regarding our sponsorship opportunities and golfers’ registration, please log on at www.deldf.org. We look forward to your presence at “Swingin’ with Style 2018 Golf Tournament” on Sept. 29, 2018. Register today! The purpose of DELDF is exclusively educational, charitable and community service. The Broward County Alumnae Chapter of Delta Sigma Theta Sorority, Incorporated (chartered in 1955), organizes its public service initiatives under the umbrella of the DELDF (incorporated in 1983). The hallmark of the Chapter is the volunteering of its membership to carry out the many programs and services as well as working in collaboration with other partnering organizations. The mission of DELDF is to secure and distribute funds that support the various public service programs sponsored by the Broward County Alumnae Chapter of Delta Sigma Theta Sorority, Inc.